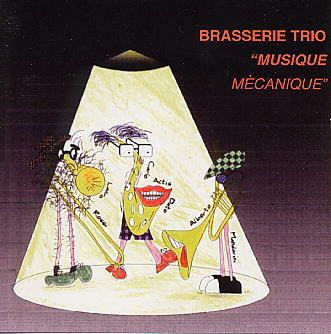 Brasserie Trio is Carlo Actis Dato on reeds, Alberto Mandarini on trumpet and Lauro Rossi on trombone. The twelve pieces on this CD were recorded live in Pisa in December, 1998. The aim of this trio is to create music of quality which is both fun to play and fun to listen to, with strong theatrical and visual elements which captivate the audience.